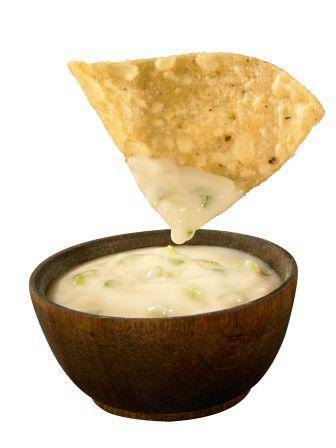 ATLANTA, GA (May 31, 2011) – In some circles the hot, flavorful, melted white cheese sauce at Moe’s Southwest Grill is so adored that it makes people do their happy dance. Knowing this means something different for everyone, the folks at Moe’s are giving guests the opportunity to enter their very own queso-inspired dance moves in the Dance Your Queso Off contest. To enter, create a dance video no longer than 30 seconds and upload it to www.ilovequeso.com any time before July 24, 2011. Moe’s panel of judges will consider originality, video quality, dance moves and the dance off ranking to determine who will win the $10,000 grand prize. Visit www.ilovequeso.com to watch the video entries and pick your favorites. Videos will face off against each other and fans will vote for the best, funniest and/or most entertaining dance video. Those who participated in the I Love Queso video contest last year may recognize the song playing on the site as the original hit by last year’s contest winner, Christiano Covino. All of this excitement surrounding Queso will lead up to Moe’s second annual Free Queso Day on Wednesday, July 20. Participating locations nationwide will give one free 6 ounce cup of Moe’s famous Queso to every guest, all day. For more information, visit www.ilovequeso.com. ATLANTA, GA (May 24, 2011) – Atlanta-area Moe’s Southwest Grill restaurants are donating 10 percent of proceeds on Saturday, May 28 to Red Hawk Restaurant Group’s Storm Relief Fund to help a Tuscaloosa-based Moe’s general manager get back on his feet. When a large string of tornados blew through the southeast, Tuscaloosa was among the hardest hit cities. Moe’s team member Calvin Smith lost his home, his wife and his niece to the devastating storm. Red Hawk Restaurant Group, the local franchise owners, set up a Relief Fund for Calvin to help him rebuild his life. The Franchise Partners in Atlanta wanted to do their part to help give back to this member of the Moe’s family that needs their help. Washington, PA (May 12, 2011) – “Welcome to Moe’s!” will soon be heard throughout the neighborhood when Moe’s Southwest Grill opens at 118 Trinity Point Drive on Thursday, May 19. A Gold Award winner of the 2008 Consumer’s Choice in Chains Awards, Atlanta based Moe’s Southwest Grill’s serves fresh made-to-order burritos and southwest fare in a fun and laid back environment. This Moe’s Southwest Grill will be the fourth for local franchise owners Mike Geiger and John Iaquinta and the 5th overall location in the Pittsburgh region. The new Washington, PA location is open Monday – Saturday from 11am – 10pm and Sunday from 11am – 9pm. For more information guests may call 724-223-1000, and for catering options, customers can contact this Moe’s at 724-816-4945. ATLANTA, Ga. (May 2, 2011) – Everyday Moe’s gives guests the freedom to choose from more than 20 fresh, free ingredients and a variety of protein options including all natural chicken, 100 percent sirloin grass-fed steak, grain-fed pulled pork and organic tofu, but on Cinco de Moe’s – they go crazy in celebration of the countless ways guests can build the perfect Moe’s burrito by offering a great deal all day long. Moe’s invites guests to join in celebrating Cinco de Moe’s on Thursday, May 5 from 11 a.m. until 9 p.m. Enjoy any burrito, chips and salsa for $3 all day at Moe’s locations in Atlanta, GA; Greensboro, NC; Jacksonville, FL; Florence, SC; Richmond, VA and Roanoke, VA. Enjoy a chicken Joey Bag of Donuts burrito, chips and salsa for $3 at locations in Chattanooga, TN; Charlotte, NC; Raleigh, NC and Huntsville, AL. Enjoy any burrito, chips, salsa and a drink for $5 at Tampa, FL and Orlando, FL locations. Buy one meal, get one free with the purchase of two large drinks at the Moe’s restaurants in Birmingham, AL and Greenville, SC. Enjoy a free side of queso or guacamole with any purchase at Moe’s locations in Hampton Roads, VA; Norfolk, VA and Williamsburg, VA. Enter to win Free Burritos for a Year at Moe’s locations in Nashville, TN. Be one of the first 100 guests in line and receive a free limited edition Cinco de Moe’s t-shirt at Moe’s locations in the following cities: West Hartford, CT; Hartford, CT; Glastonbury, CT; Long Island, NY; Philadelphia, PA; Staten Island, NY; Mahwah, NJ; Pompton Plains, NJ and Washington, DC. Enjoy any burrito for $4 or any junior for $3 at Moe’s locations in Chicago, IL.